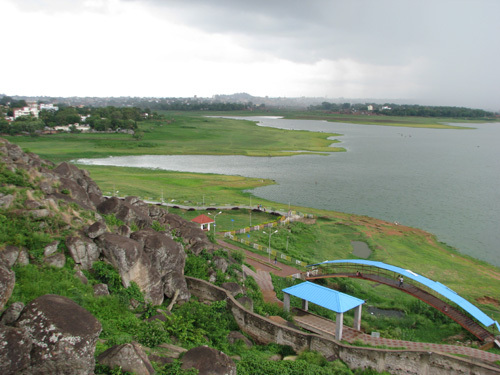 Places to see in Ranchi: Ranchi, blessed with serene natural beauty is admired with a number of tourist attractions. 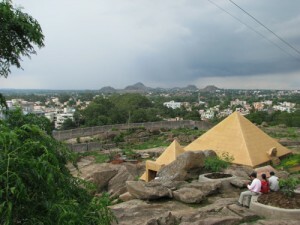 The Rock Garden, located near the Albert Ekka Chowk is a must visit for all tourists in Ranchi. Spend some quality time in seclusion at the top of Tagore Hill, named after the Nobel laureate Rabindranath Tagore. Visit the Divyayan and Agararian Vovational Institute and the Ramakrishna Mission Ashram nestled at the foot of the Tagore hill. You will truly admire the majestic sight of the Kanke Dam in Ranchi nestled at the foothills of the Gonda Hills. The serene atmosphere, unpolluted air, secluded ambience and pleasant weather makes this lake a favorite spot for tourists yearning for seclusion and relaxation. 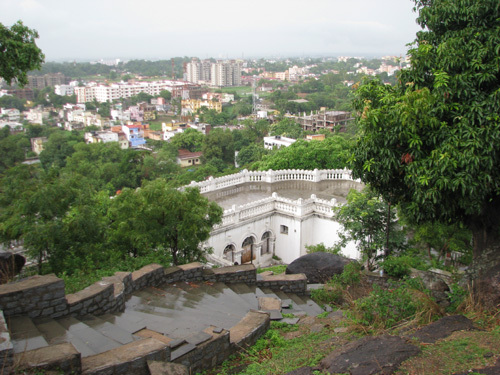 The religious minded tourists can visit the temple of Lord Shiva, locally known as Pahari Mandir, located at the top of Ranchi hill, boasting an altitude of 2140 feet from sea level. You can savor an enchanting view of the entire Ranchi city from the temple premises. 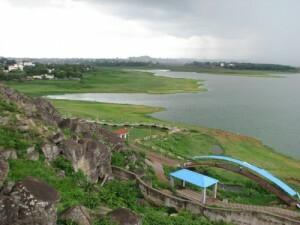 At the base of this colossal Ranchi hill, you will also find a pristine lake. You will be amazed to find that the Jagannath Temple of Ranchi features the same architectural style of the renowned Puri Jagannath temple. Tourists are mainly attracted to this temple during the festival of Rath Yatra, celebrated with much vigor and pomp. The Deer Park of Ranchi is also a central tourist attraction, which is home to hundreds of different species of deer. The park is admired with splendid gardens, parks for children and well laid pathways. You will truly enjoy the park safari at the location. Nearby attractions of Ranchi: Numerous waterfalls are located near Ranchi, the most popular being Hundru Falls, Jonha Falls, Dasham Falls, Hirni and Panchghagh Falls. River Subarnarekha features many waterfalls on its course among which Hundru Falls is the most admirable, falling from a towering height of 320 feet. 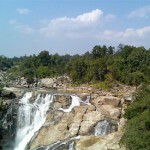 Hundru Falls makes a scenic landscape and is a favorite picnic and resting spot of tourists in summer. The picturesque Jonha Falls formed by Kanchi River is popularly known as Gautam Dhara named after Gautam Buddha. Other nearby waterfalls includes Dassam falls and Sita falls. However, you need to step down around 500 steps to admire the natural splendor of the Johna Falls. The marvelous sight of the Panchgagh waterfall, comprised five waterfalls cascading in a row offer ultimate visual pleasure. Tourists can also make a trip to Birsa Zoological Garden, located near Ormanjhi on the Ranchi-Patna National highway, close to Ranchi. This eco friendly tourist spot is a safe haven of several wild life including tigers, lions, monkey and deer. Angrabadi temple complex, placed amidst a calm and tranquil atmosphere is a legendary temple complex in Khunti, located nearby Ranchi. Tourists visit this temple to uplift their spirituality by offering prayers to Lord Shiva, Ram-Sita and Hanuman. Things to do in Ranchi: Boating in the Ranchi Lake or in the pool made by the Hudru falls is a real wonderful experience. You can also organize picnic near the Kanke dam or the Hudru falls. Enjoy a park safari at the Deer Park. Visit the fair organized near the Jonha Falls on every Tuesday and Saturday. If you are adventurous, experience the challenging hilly safaris. Above all, savor the eternal beauty of this exotic location. How to reach Ranchi: Ranchi airport is situated at Hinoo, nearly 7 km from the city center. The closest international airport is at Kolkata, located 400 km from Ranchi. Ranchi railhead is well linked with Kolkata, the nearest station being located at Hatia. Ranchi is well connected with bus routes from Bokaro, Chaibasa, Dhanbad, Patna and Jamshedpur. Best time to visit Ranchi: Ranchi welcomes tourist all throughout the year. However, you can avoid the peak summer season. Lodging and dining facilities in Ranchi: A number of hotels, lodges and guesthouses are found in Ranchi suitable to all budgets. The accommodation also arranges for decent dining facility.